With a reliable and robust design for industrial applications and harsh environments, the Presense LDS300 is ideal for severe applications including extreme temperatures from -40 to 200 deg C, pressures up to 25 Bar and materials that are abrasive or corrosive. It is a versatile industrial level switch, suitable for high/low level control across a wide range of material handling, storage and control applications, but especially for industries with extremely low dielectric bulk products (solids and liquids) or rough and electrically polluted environments. • Choose from three stainless steel (AISI 316L) probe types: adaptive and/or rod probes for short and (non-)vertical mounting, and cable probes for long and suspended (vertical) mounting. • Displays continuous level information via a bar graph and a numerical display. • A robust construction, suitable to operate in harsh industrial conditions. 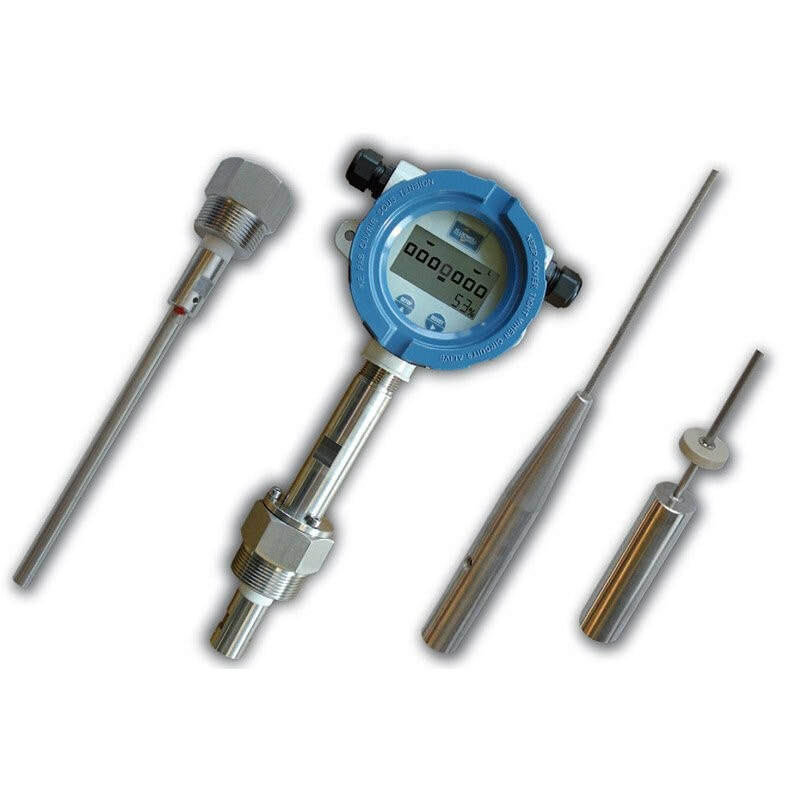 • Measuring in harsh, pressurized, abrasive, hot and corrosive environments. • An integrated programmable controller with intuitive LCD, LED backlight, a simple two button interface and integrated self diagnostics. • Easily programmable and intuitive set points, covering a wide range of applications and materials. The Presense LDS300 system is easy to install, has no moving parts and requires minimal maintenance, providing a reliable and cost effective solution for high/low level control that reduces unscheduled downtime and maintenance time. IP67 screw on/off cover with rubber gasket and glass window. Range DC 12 – 350V DC, polarity reversible. 11/2 inch BSPT thread with 50mm nut.